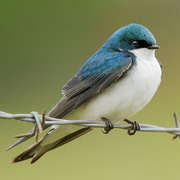 Early breeder, common in open habitats near water at lower elevations, less so in mountains along rivers and lakes with snags, on both sides of Cascade crest. 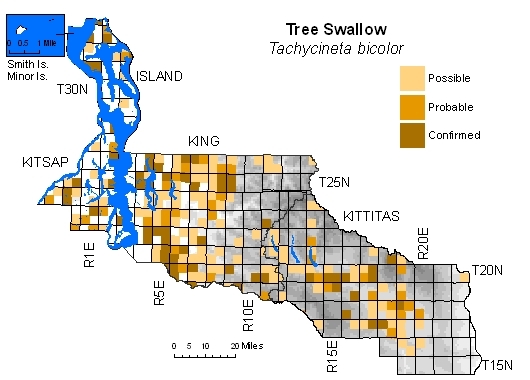 Breeds in tree cavities or nest boxes near or over water, but also utilizes bluebird boxes away from water in Kittitas County. Apparently does not breed along Columbia River, no doubt due to absence of suitable cavities for nesting. Single record from West Bar, from early May, likely represents migrant.